This journal emerged from disaster! On Monday, my craft room was in a State of Emergency! Lucky for me there was also a State of Emergency on the roads too! Snow and Ice didn’t deter me from organizing my craft room! I’ve organized this room before, but it always turned into a disaster room after every craft. This time I didn’t organize the space for looks, but for my needs only! It’s never to late to change right! 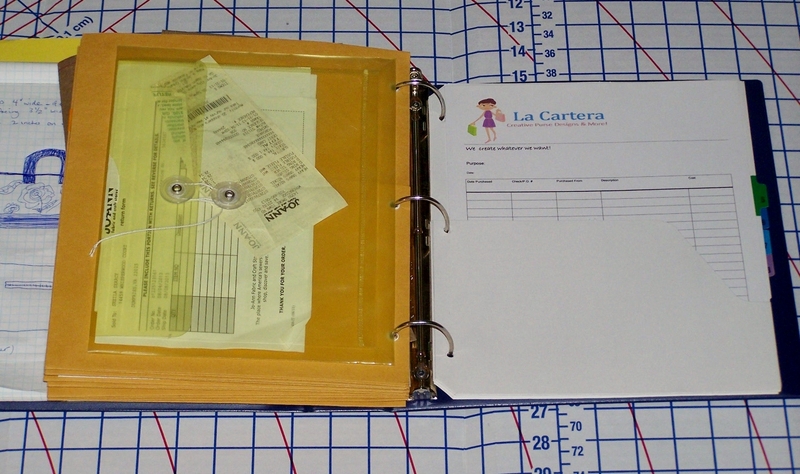 I discovered the need for a journal/organizer for my patterns, designs, purchases, inventory, shopping, and notes. 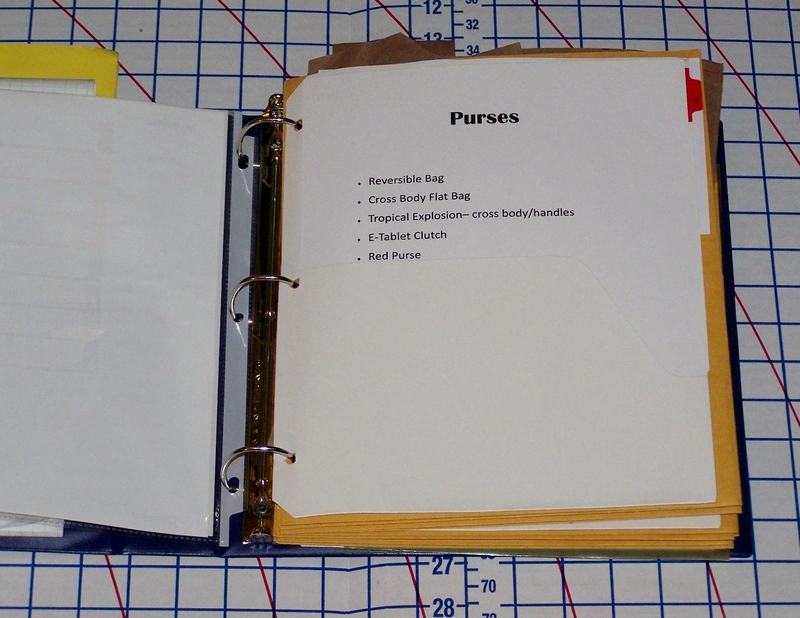 I was so tired of searching for my patterns, receipts, and shopping list that I made this journal to organize it all. So the idea behind this is to create whatever you want! My binder has two pockets in the front and the back. 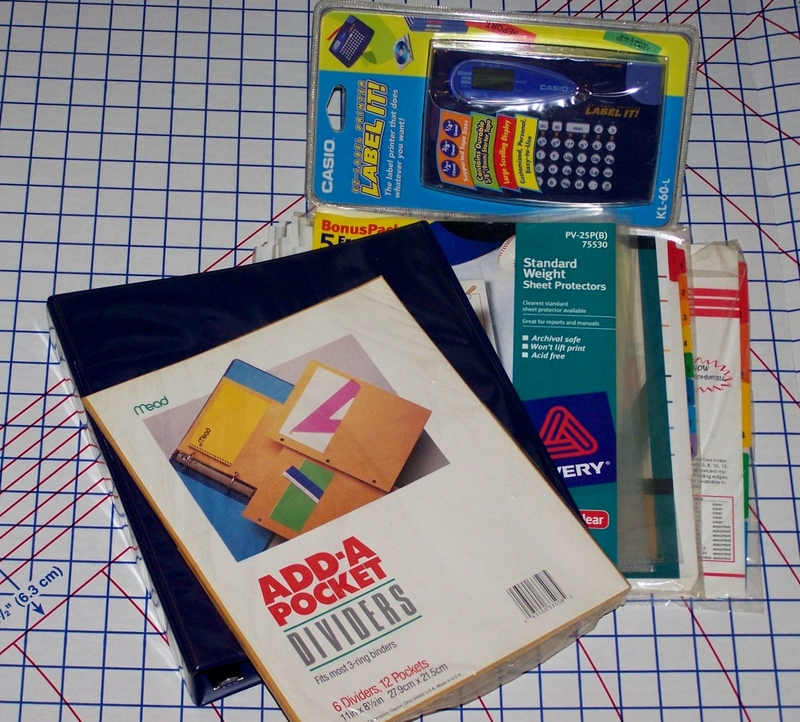 The pockets allowed me to add a sketch pad and a folder for my to do list/shopping needs. I printed my own table of contents, and placed it inside a sheet protector with the intention of making changes in the future. I printed an index sheet for each tab, which I stuffed in each numbered pocket tab. I can also change this or add a pattern to the list. 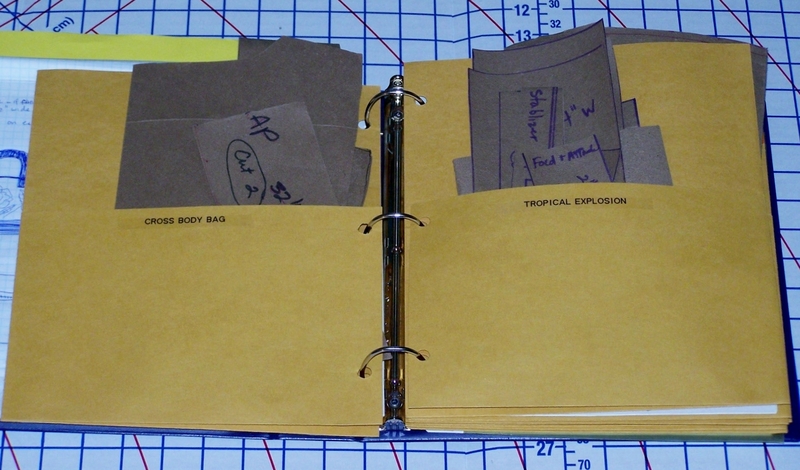 Since I design my own patterns, I placed each pattern in a pocket divider, and labeled each pocket so that I can return it to its proper place. This also works with PDF downloaded patterns too! That’s the organization idea, but you never know what will change as time passes by. Right now it fits nicely on my shelf, and I can always add another binder if needed. I think it was a pretty good idea to organize everything after a year of sewing weekly. How do you organize your patterns? Here’s a look at part of my sewing space! Before, as you can see there were things thrown everywhere! After searching for what I needed… I didn’t put it back, because I would only need it again. While shopping at the fabric store, I asked the girls at the cutting counter for the cardboard used to store bolts of fabric. They were more than happy to give me 10 of them to recycle! After-my favorite organizer is the black tray next to the small glass jar, which holds all of my scissors, and rotary blades. In that tray I have everything I need for almost every sewing project… Because it’s a tray I put my extra pins, seam ripper, pin cushions, chalk, presser feet and all those extra things I need. When I’m finished with any item, I can put it back in the tray. It doesn’t have to be perfect when it returns to the tray, and that’s the beauty! The space is more than clean it’s perfect for my needs….I have everything at my finger tips, and I can put things back right where I found them! Amazing!!! I think it was a pretty good idea to organize everything after a year of sewing weekly. How do you organize your patterns and crafts? Previous Post Tropical Explosion- Is it a Hit or Miss? Next Post Tropical Explosion Passport- Is it a Hit or Miss? I need to take a few pointers from you and actually organize my craft space a bit better. It’s worth the effort….Happy crafting! These are really great ideas. I feel so good when I clear up my space. Thanks for sharing. Beautiful pics. Great space and everthing in its place! Organizing has such a great effect on clearing the mind doesn’t it? I’m constantly struggling with my crafting studio and keeping organized. Thank you for this inspiration; I really need it! I have those struggles too! The secret is to try things that work best for your needs, and hopefully you can find the perfect solution! I love it! 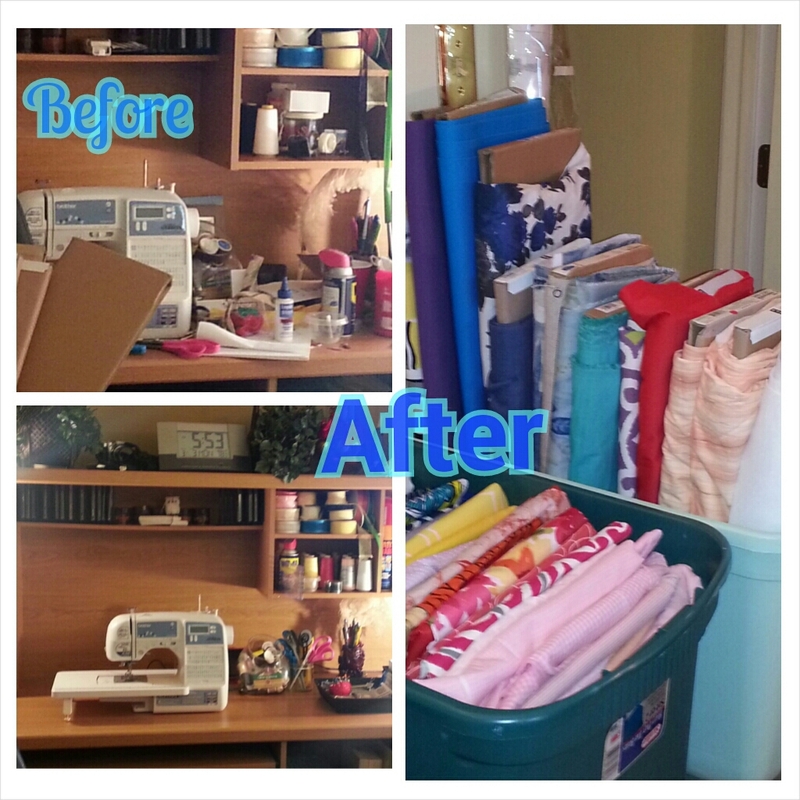 I am still organizing my Sewing Office, I hope to be finished today, and get back to sewing again! !